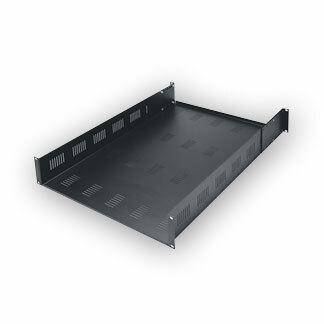 Designed expressly for use in Slim 5, AXS, SRSR, and WR equipment racks, SH series zero space rackshelves feature full-depth front and rear rack mounting, providing a secure shelf for non-rackmount components. This "zero-space" shelf mounts to the side of the rackrail (not the threaded face), providing more useable shelf area. Two handy "L" brackets are included to help position equipment. 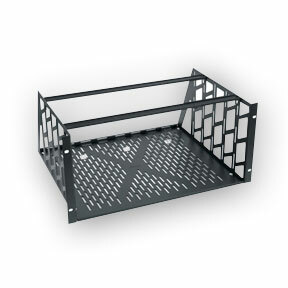 Made from 16-gauged steel, includes mounting hardware and a black powder coat finish. 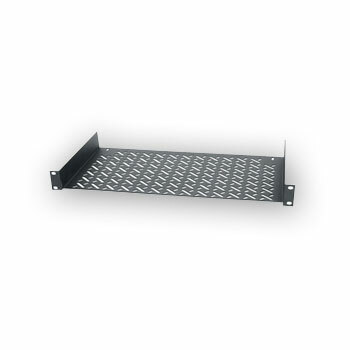 * SH-5A, SH-5A-26 does not mount in the top or bottom 2 rackspaces, or where rackrail brackets are located. ** SH-SRSR does not mount in the bottom 5 rackspaces, or where rackrail brackets are located. The SS sliding shelf is both functional and rugged. 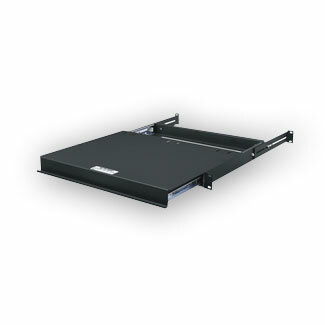 Capable of latching in an open or closed position, the shelf slides on ball bearings and extends a full 14" and mounts to any rack (rear rackrail required in steel racks). Occupies slightly more than a single rackspace. 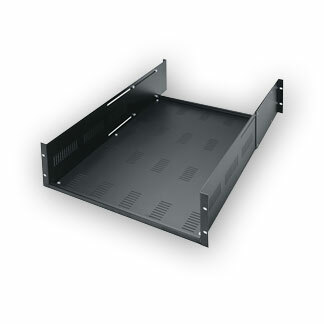 Filling just a single rackspace, the low profile SSl sliding shelf extends 10" on nylon roller slides equipped with positive-stop lockouts. 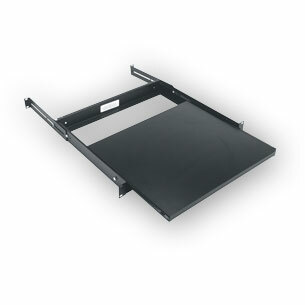 A telescopic rear support mounts to any rack (rear rackrail required in steel racks). The shelf itself is made with an attractive black laminate material. 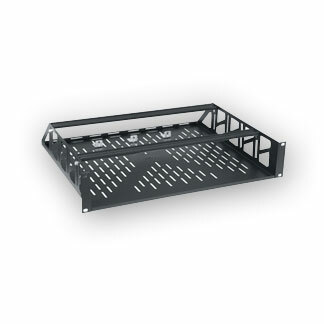 Mount smaller components, wireless units and other gear horizontally with the UTR1 half/third-rack shelf. Now includes hook-and-loop strips for component mounting, and features an enhanced ventilation pattern. Constructed from 16-gauge steel with a 25lbs. 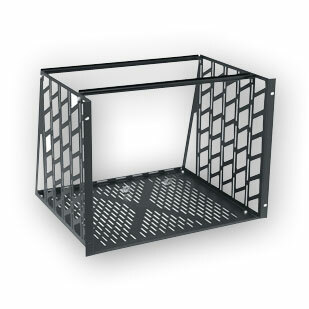 weight capacity and finished in a durable black powder coat. 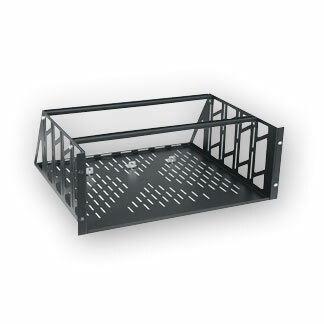 The VDS shelf is a vented mounting solution for most deep equipment. 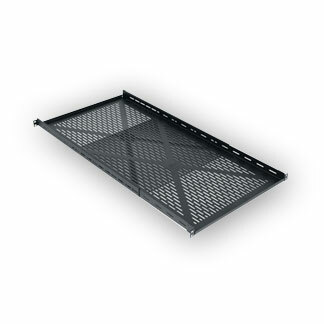 This shelf has a front to rear mounting adjustment range from 23 1/2" to 32". Features a substantial 200lb. Weight capacity. Unlike standard adjustable shelves, the entire VSA shelf telescopes to reach rear rail, providing a range of useable depth from 16" to 44". Providing the greatest useable depth in its class, the heavy-duty VSA is ideal for even the deepest components. 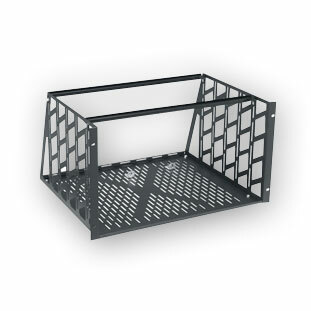 Constructed of hemmed 16-gauge steel and finished in a durable black powder coat, the VSA is fully vented for superior cooling and features many tie points for enhanced cable management. 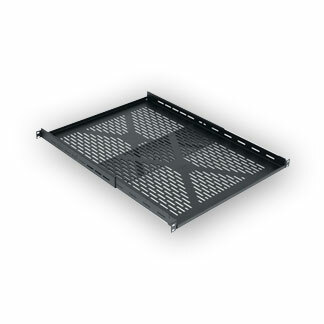 The VSA is fully vented for superior cooling and features many tie points for enhanced cable management. 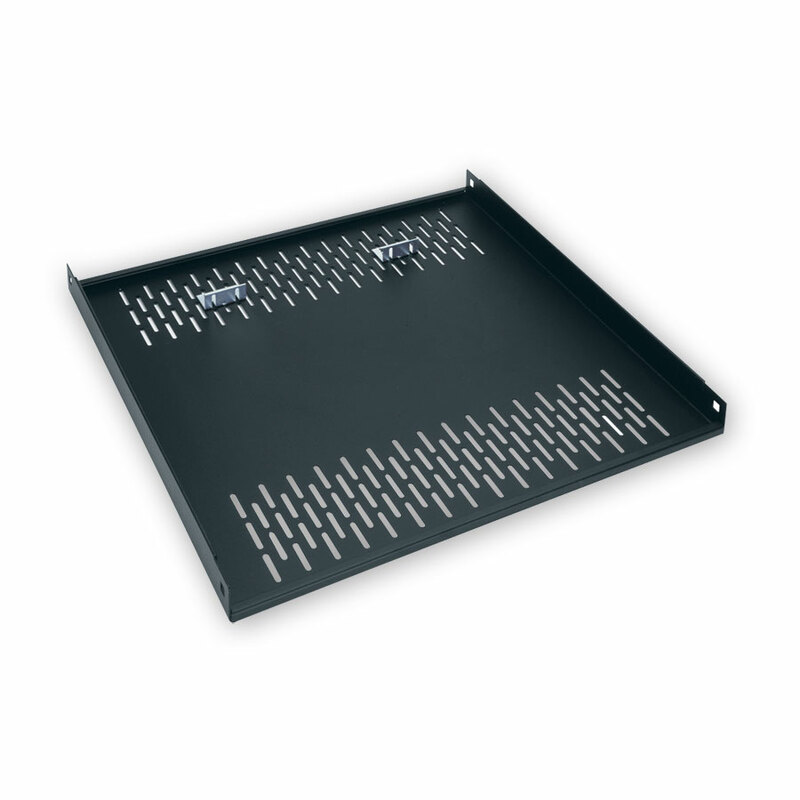 Middle Atlantic AS3-22 Adjustable Rackshelf - 17 3/8" x 21 1/2"
With a front to rear mounting adjustment range from 19 1/2" to 28" deep, the versatile AS3-22 shelf is vented and rackmount most video decks and tower CPU's. 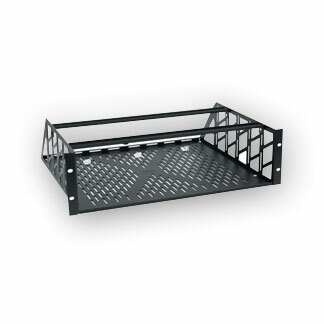 Built expressly for heavy equipment, ships ready-to-assemble with included hardware and supports 450lbs. Captivate components with RC and CAP series clamping rackshelves. Rubber-lined clamps secure a components from the top. Adjustable rear "L" brackets ease a secure fit. Vented bottoms with a robust 16-gauge steel design that maintains structural integrity in mobile applications. Finished in a durable black powder coat. Clamp Height 1" - 2 3/4"
Clamp Height 2 1/4" - 4 5/8"
Clamp Height: 4 1/2" - 6 3/8"
Clamp Height 6 3/8" - 8 1/8"
Clamp Height 8" - 9 7/8"
Clamp Height 11 1/2" - 13 3/8"